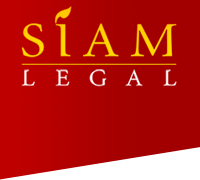 Since its establishment on 2004, Siam Legal International has continually progressed and expanded as a company and firm, making it one of Thailand's largest legal service network in the country. With offices in Bangkok, Phuket, Chiang Mai, Pattaya and even abroad, our firm has been the top choice all across the Kingdom of Thailand when it comes to clients' demand for obtaining professional and legal assistance in the field of litigation, family law, corporate and property legal matters, and a wide array of immigration-related services. Here at Siam Legal, we also realize having the privilege of leading a team of highly motivated and talented people who have put remarkable dedication to their work. We place a high value to diversity and we continually strive to provide a vibrant, challenging and a rewarding environment and culture, thus promoting excellent achievements to their professional careers and experience opportunities. If you believe that you qualify to fill in a fitting position in our company, then we invite you to jump on board. We are currently in need of additional staff. Performing assigned administrative matters, including billing and collection of fees for legal work performed. and look for Khun Ms. Aey.